Last week, DJ Flula Borg, who will have a supporting role in the film Pitch Perfect 2, released a video he shot alongside the film’s stars. Flula, though, is not the only social media star excited about the Barden Bellas’ impending return. In addition, a handful of YouTube and Vine stars joined the music video for ‘Crazy Youngsters,’ a track from the movie. 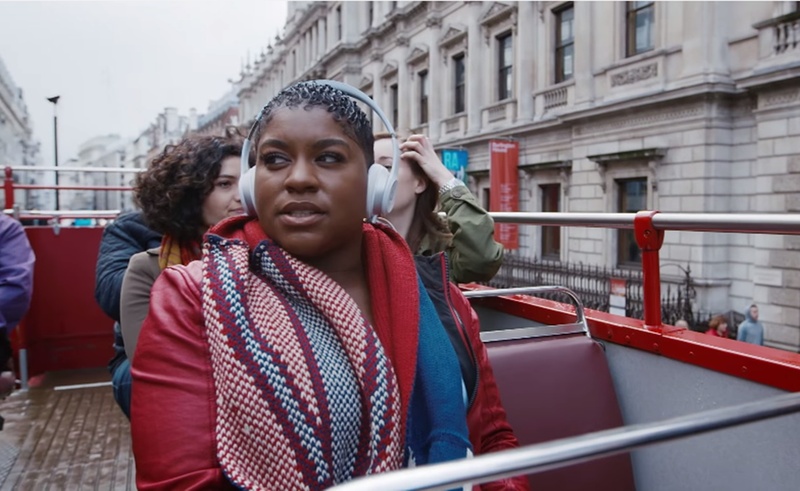 The ‘Crazy Youngsters’ video is led by singer, actress, and Pitch Perfect 2 cast member Ester Dean, who belts out the song while riding on one of London’s famous double-decker buses. As she sings, the video cuts to creators like The Gregory Brothers, Wassabi Productions, and Princess Lauren, all of whom dance their way across cities around the world. Flula, who continues to hype his upcoming film debut, appears in this video as well. The video was produced for Universal Pictures by Portal A, the studio known for producing the year-end “YouTube Rewind” videos. For this project, Portal A filmed across six days in three cities: London, Los Angeles, and Berlin. The studio also invited fans to send in pitches explaining why they should join the shoot; ultimately, Portal A says it received more than 1,500 submissions. Pitch Perfect 2 arrives in theaters on May 15th.